But will they be saved? 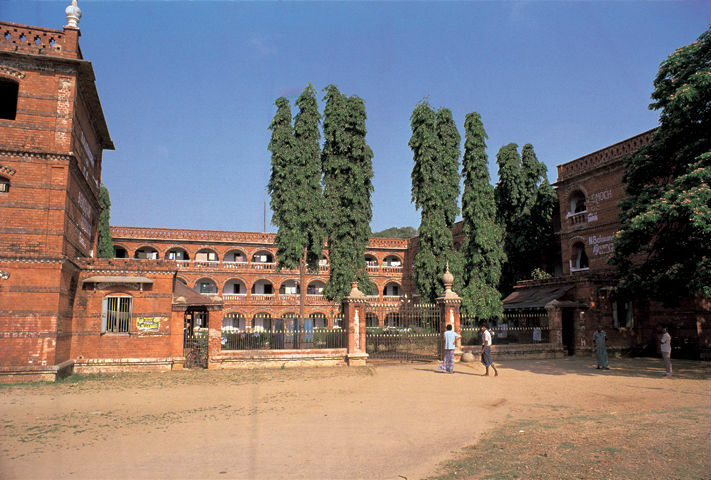 The Victoria Hostel, Presidency College. Our State Government (and yes, there is such an entity functioning) works in mysterious ways its wonders to perform. Just when you thought all hopes on heritage were lost, it has come up with a few pleasant surprises for conservationists and activists, in the latest Finance Budget, passed in the Assembly in the month of March. While these are positive signs, it would have been far better if the Government had also come up with a clear directive on what needs to be done with heritage structures not falling within the purview of the State Archaeological Department (SAD) and what are the plans for implementing such a directive. But first, the good news. The Government has sanctioned funds for the restoration of two heritage structures in the city and one more in the districts. And all of these are buildings of the colonial era, thereby indicating that at last our administrators have begun to consider structures built during that period to also be worthy of conservation. The Queen Mary’s College and the Victoria Hostel on Presidency College’s campus in Chennai and the Kumbakonam Arts and Science College will all be restored at a cost of Rs 26 crore. All of these come under the heading of manna in the wilderness, for these had all been given up as lost causes by those interested in their welfare. Ever since the QMC campus was not made over to the Government to build a Secretariat, it was wilfully neglected. Its central Capper House was allowed to collapse and several other buildings on the premises were left to deteriorate, no funds being allotted for their restoration. That there is now a willingness to let bygones be bygones is a cause for cheer. The Victoria Hostel is in what can be only termed as an appalling state and students living in it have frequently launched protests to highlight their precarious existence. The Government had toyed with the idea of demolition and it appears better counsel has since prevailed. As to the college in Kumbakonam, a Chisholm masterpiece, with the river by its side an integral aspect of its design, a presentation on its condition done by conservationist Girija Viraraghavan made those present wonder as to how any structure could be so neglected. It is heartening to note that this building too will see better days. On paper all this is to the good. But what of the implementation? This is where the absence of a policy document on heritage is felt. Lack of clear directives will mean much of these restorations will be entrusted to the Public Works Department, which will take up the task using the same guidelines that it has for new construction. Contractors and architects with no experience in heritage conservation will be roped in and carry out the task. If this can be avoided, these restorations can serve as examples for other heritage structures. What is also of concern is the lack of any consistency on what constitutes heritage and merits restoration. The identification of buildings for restoration has been based on whims and fancies of those in office at best. This cannot be the yardstick by any means. Several other deserving structures are suffering neglect – the Teachers’ College in Saidapet, being a prime example, as are also structures within Fort St. George and the Government Press in the Mint. Can the Government please come up at the earliest with what it believes to be heritage worthy of preservation and also lay down clear guidelines on what can or cannot be done with structures that fall within that category?